This year I have come to realise that Germany is a fantastic destination for family travel. 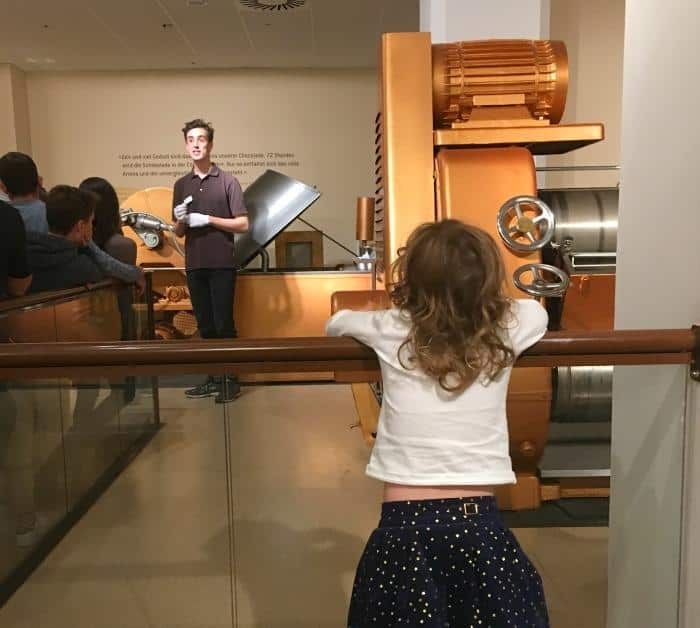 When I was given the opportunity to visit the country again to find out about the best things to do in Hamburg with kids, I knew I wanted to share it with Brook, my 3 year old daughter. 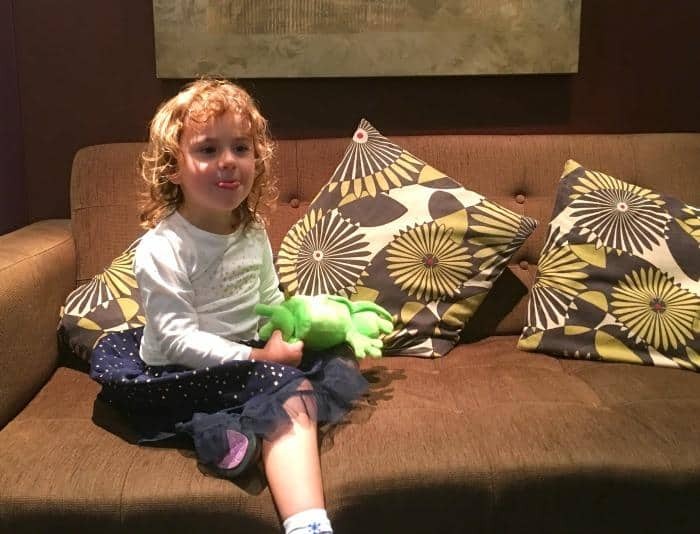 We left Daddy and Indie at home for the weekend, and we headed to the Holiday Inn Express at Stansted Airport to begin our Hamburg with kids adventure. I was really looking forward to sharing a new place and new experiences with my daughter, and for me travelling with children is the ultimate in spending quality time together. As a family, we believe it’s really important to make time for being with our children individually and I know Daddy and Indie had an awesome time back in the UK too. Travelling single handed with a child does take effort, but I firmly believe it’s well worth it. Hamburg was a great destination for us as well, as it’s so easy to get around both via public transport and on foot. Getting around Hamburg with kids was no problem at all, mostly because the city is incredibly flat. 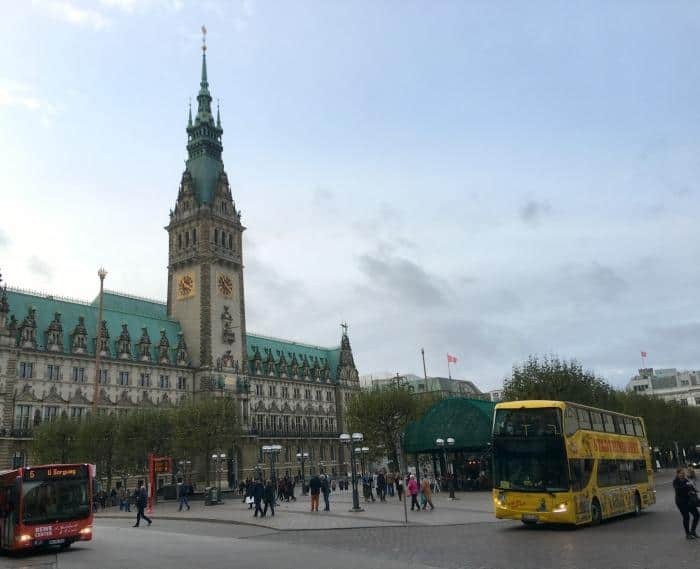 During our visit we had use of a 3 day Hamburg Card which provided us both with unlimited access to public transport including bus, train and harbour ferry. It also included great discounts on Hamburg tourist attractions. A Hamburg Card for one adult and 3 children aged between 6 and 14 for 3 days is only 25.50 Euros (children under 6 years travel free). Taking the bus to the Holiday Inn Hamburg before we started sight seeing was a good move. We needed to unload our bags and freshen up a little before visiting our first attraction. It also gave us the chance to get to learn a little bit more about the hotel. 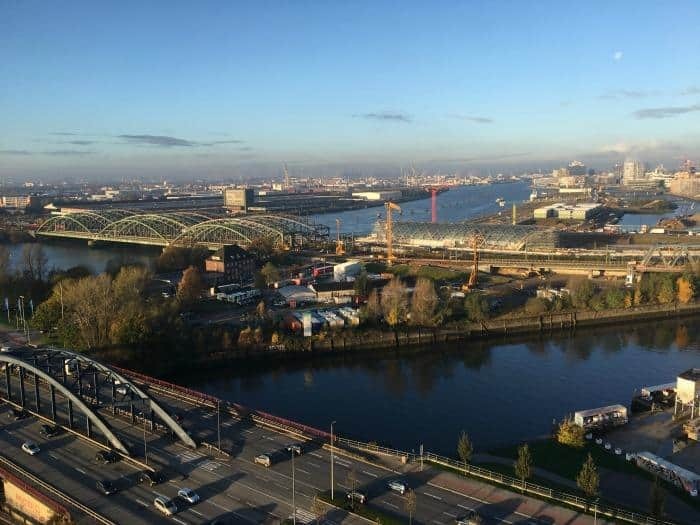 Here’s our hotel review if you need some inspiration of where to stay in Hamburg with kids. We didn’t have too much planned for the first day, but we did have a tour at Chocoversum booked. This turned out to be just the boost we needed after an early start from the UK. Both my daughter and I adore chocolate and there were plenty or opportunities to taste it during our visit. The highlight was being able to make our own bar that we bought back to the UK. It’s a great tourist attraction for chocolate lovers looking for what to do in Hamburg during their stay. We explored the city a little on foot, to get a feel of Hamburg before hunger finally kicked in. I soon realised it was a great destination for shopping and food. 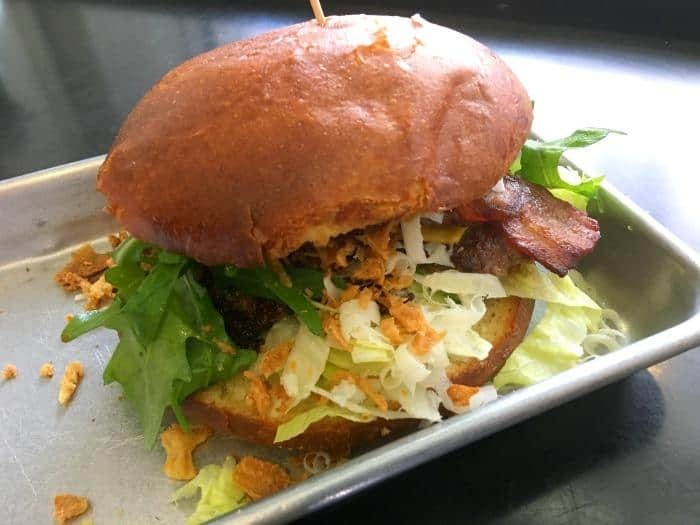 We stumbled upon the Better Burger Company, and I thought this would be a great place for us to have some food. Unfortunately my daughter decided that sleep was more important and took a nap just as we arrived. I couldn’t pass up the opportunity to try one of their burgers, so while she slept I pulled up a stool and tucked in. It was delicious, and Brook really missed out if you ask me. After a relaxing evening in the hotel, we were feeling refreshed and ready for day 2 in the city. The weather wasn’t the best, so it was time to look for an indoor activity to keep us busy. It was the perfect opportunity to go and see what Miniatur Wunderland was all about. 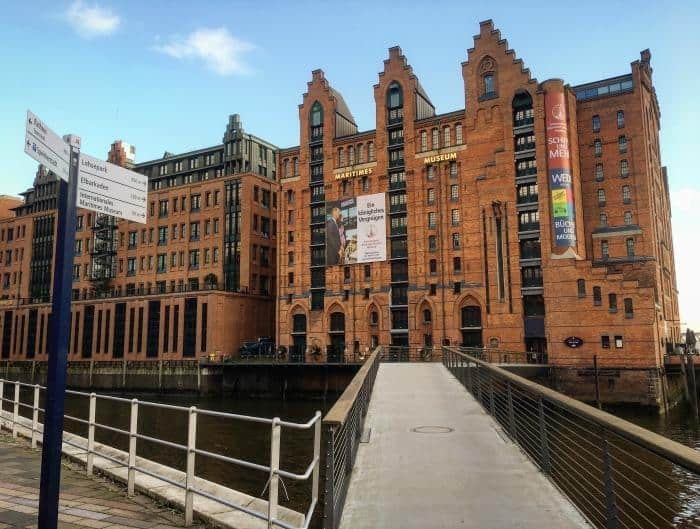 I really didn’t know what to expect from this popular Hamburg tourist attraction, and I think that sometimes having no expectations can be a good thing. Miniatur Wunderland turned out to be a real highlight of our trip and both my daughter and I throughly enjoyed it. Brook was literally mesmerised by the different models we saw there. Whole cities have been recreated in miniature, and the details are just incredible. It’s a brilliant attraction for people of all ages, and of course the language you speak really doesn’t matter at all. I would recommend this being at the top of your list of things to see in Hamburg, whether you are travelling with children or not. After leaving Minatur Wunderland, my daughter and I headed in the direction of the harbour. It’s such a key feature in Hamburg it’s definitely worth exploring. We made our way towards Barlassen-Meyer at bridge 6 and joined the harbour boat tour. 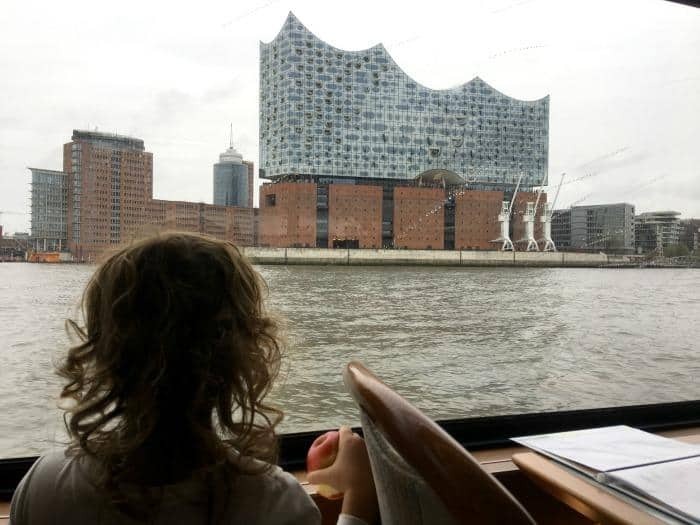 My daughter really enjoyed the boat trip, and it gave us both the opportunity to see the city from a different angle and learn lots of interesting facts about Hamburg. Our encounter with Hamburg Rathaus was accidental, I’m slightly embarrassed to admit. Having learned that the key to travelling with children is to pace yourself, we were actually on the bus heading back towards the hotel. As we reached the stop for Hamburg Rathaus my 3 year old declared she needed to use the toilet. It was the perfect place to jump off and take a closer look at Hamburg’s famous town hall. We found a public toilet, so avoided what could have been a little disaster, and spent some time just enjoying the beautiful building and taking a look around the square. The bus stop was really close by so we just hopped back on again and headed back towards our hotel for the evening. It seemed Brook quite liked a few German cartoons before bedtime. After a rather mighty breakfast at the Holiday Inn Hamburg, we headed slightly out of town to find Tierpark Hagenbeck, which is Hamburg’s closest zoo. It took us about 40 minutes by bus and subway, but it was well worth the trip. The subway station is just around the corner from the zoo entrance so public transport is a great option for getting there. We spent a good half a day at the zoo and aquarium, and to be honest we could have spent longer. 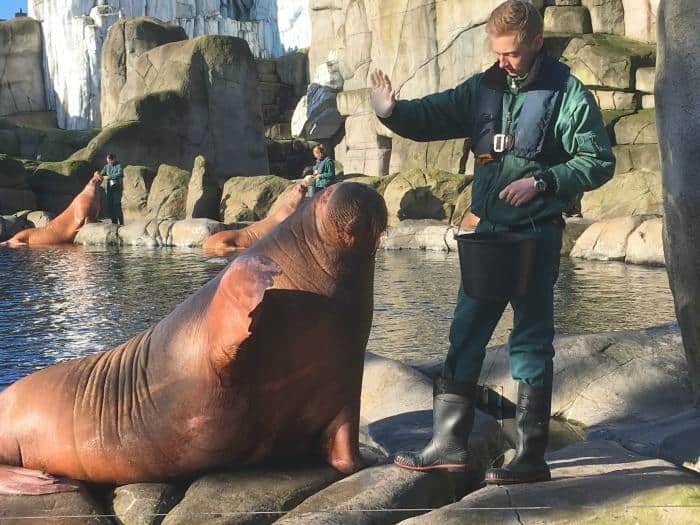 My daughter loved meeting all the animals, especially the walruses and I really felt that the zoo was doing some great work to provide the animals a healthy and stimulating environment. 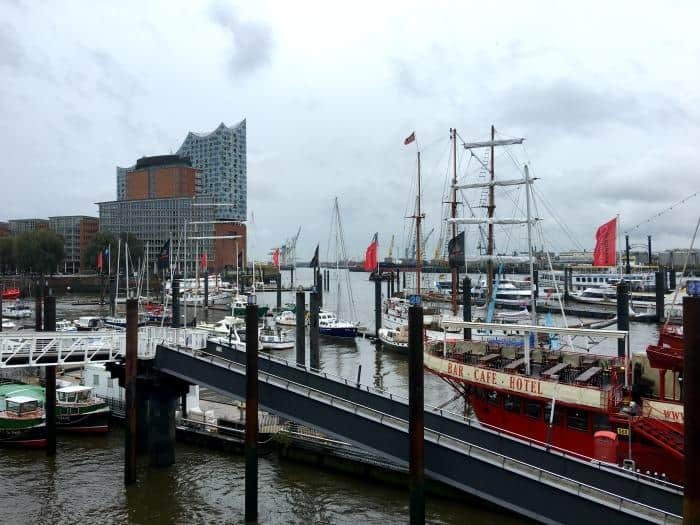 After the zoo, we headed back into Hamburg to visit the International Maritime Museum of Hamburg. I really wasn’t sure if my daughter and I would enjoy visiting here, but it turned out to be the perfect place to end our trip to Hamburg. The building is incredible and inside are some really interesting exhibits and my advice to you is to start at the top where Peter Tamm’s collection of model ships lives. It’s pretty incredible to see. 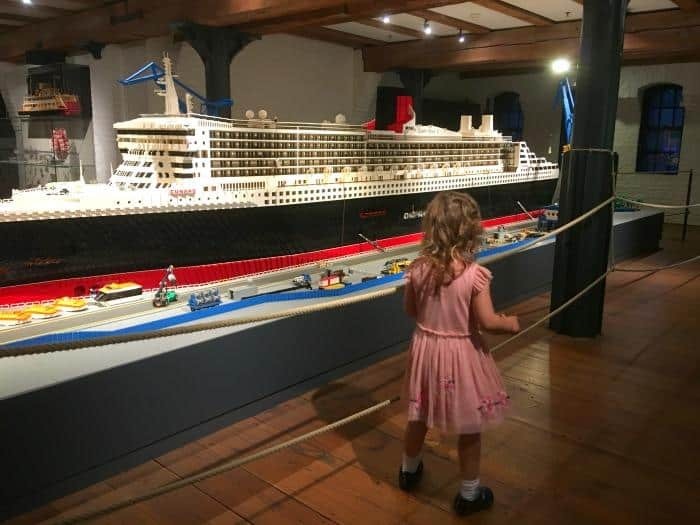 My daughter really enjoyed seeing all the different ships, especially the Lego ship in the children’s play area. Our visit here really bought together all of our experiences in Hamburg and gave us a greater understanding of what makes the city tick. I’d strongly recommend popping in if you get the chance. That pretty much bought our short city break to Hamburg to an end. All we had to do was pass by the hotel and collect our bags and make our way back to Hamburg Airport. I’m not going to lie to you at all, it was hard work in terms of walking around the city in charge of a 3 year old, but only in that my feet were really tired. That would have happened with or without a child in tow. City breaks aren’t necessarily relaxing, they are about getting under the skin of a city in my book. One thing I noticed while I was away with my daughter was she asked when we were going home quite a bit. This was sweet in one sense, but worried me in another. I don’t want her to grow up feeling nervous about exploring the world around her. Our trip to Hamburg together was the start of showing her with a little ‘can do’ attitude getting out and exploring the world can be a great fun packed adventure with a host of new experiences too. 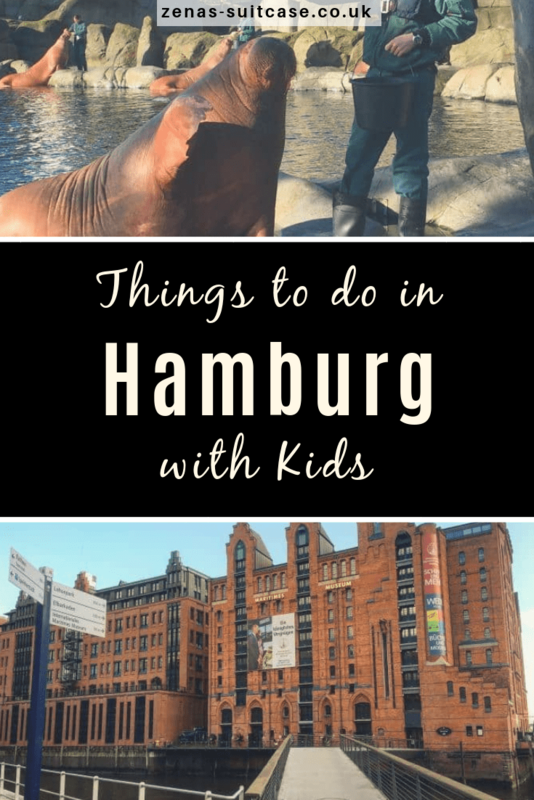 We were invited to Hamburg as a part of the Come To Hamburg project and the attractions mentioned here were provided on a complimentary basis in return for being featured in this post about things to do in Hamburg with kids. We adored Hamburg. It is so easy to get around on the public transport system too. We were surprised how much we loved Minatur Wunderland. it was amazing, as was the Chocoversum. I am glad you enjoyed this beautiful city as much as us. 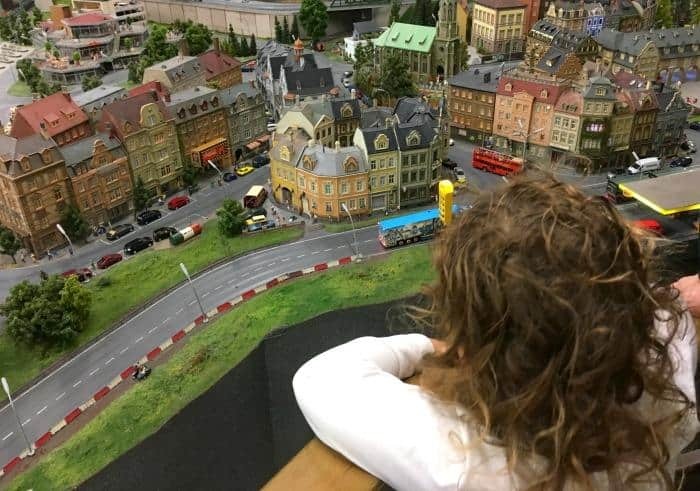 Thanks for your blog post, I’m considering taking my 4 year old son in 2018 – I know he would love Miniatur Wunderland! So glad you both had a wonderful time. I visited Germany several times as a teenager and really loved it. We going to Germany next year too 🙂 bWell done for travelling with your kid alone. I can’t even make it to the shops and back yet with mine hehee. The Lego play sounds amazing – well the whole trip does. Looks like you had a great time. Hopefully she will grow out of wanting to go home in the future. My daughter is only 21m and last night, at my Mum’s house, she said ‘Go home Mummy’ haha! Bless them! Thanks for your blog post It reminded me of the times I visited when my younger sister was an au pair there. Absolutely loved it. Added to the short break wishlist. Ooh I have always wanted to go to Hamburg but I wasnt sure there was much there to do with children – this just proved me wrong! I would so love to take my four! We have visited Düsseldorf as a couple. Would love to visit other parts of Germany with the kids.